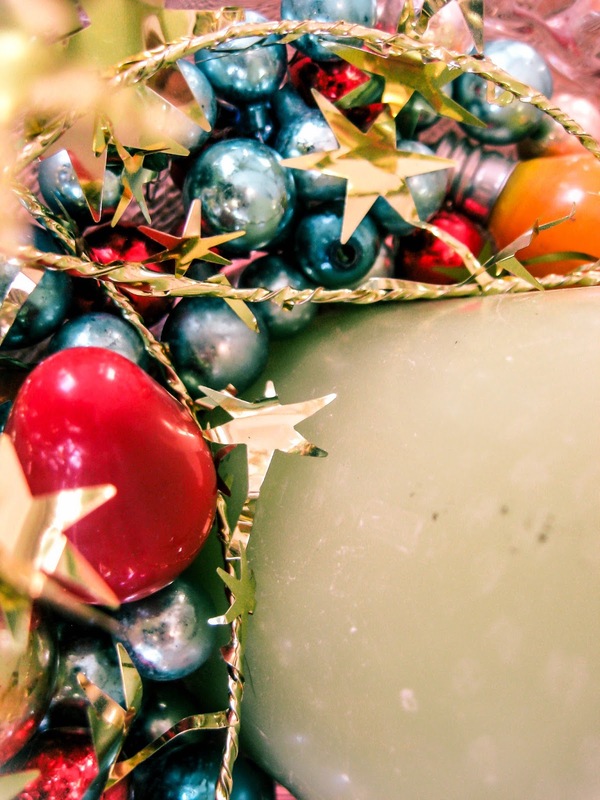 A little vintage holiday sparkle! Long ago when I was in fifth grade art class we made burlap place mats. We pulled out threads and wove in yarns. I thought it was the most wonderful thing I'd ever made. Mine was white burlap with lime green thread...beeautiful! 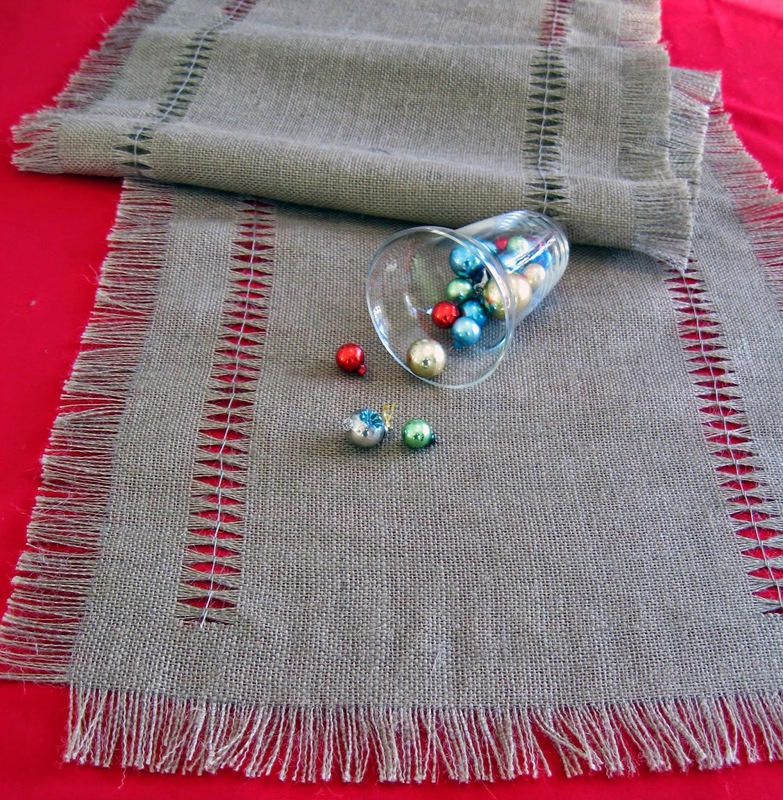 I decided to make a table runner that's a grown up version and create a little tutorial for you. 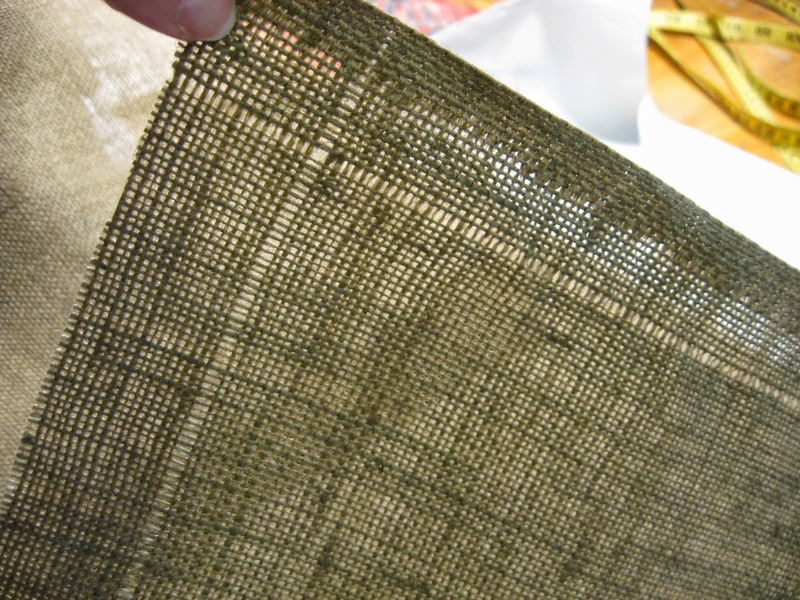 Mine is made out of burlap but coarsely woven linen could also be used for a more sophisticated version. This looks great as a Christmas runner but would also work well for Halloween and Thanksgiving. Make another one in a pastel color for spring holidays. ***Please read through the entire set of instructions before beginning. If you are confused by anything feel free to contact me in the comment section. I'll respond promptly! 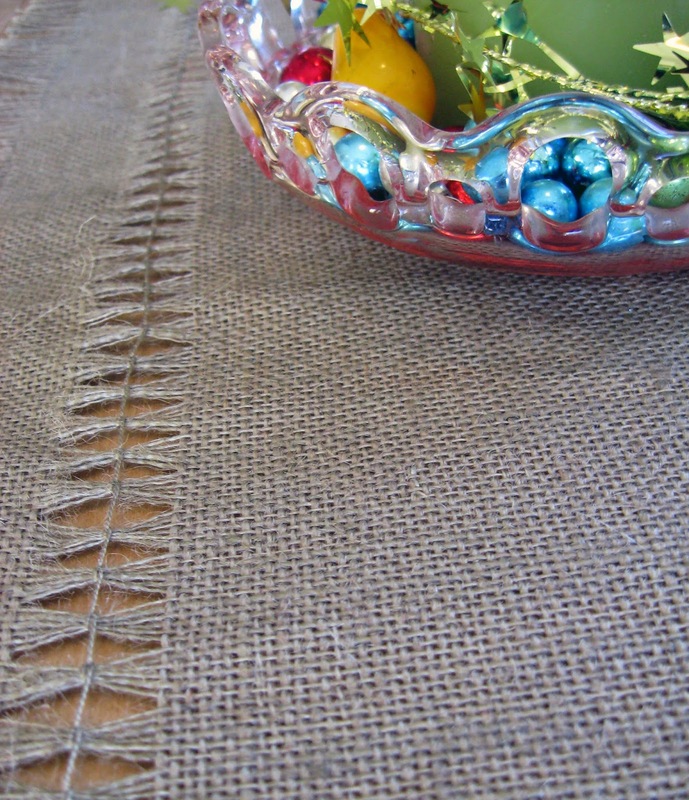 When you buy burlap, undoubtedly the edges will be crooked and fraying and it needs to be straighten it. Pull on a thread that runs the width (in this case the longer edge) of the fabric and pull it out. It will leave a ditch in the fabric. Cut along the length of the ditch. My runner is 14 inches wide plus 1 1/2 inches of fringe on both edges for a total of 17 inches. From the edge that was just cut, measure 17 inches and similarly, pull out a thread to mark the other edge. Cut along the ditch left after pulling out the second thread. Put the rest of the fabric aside. We will only be working with the 17 inch width of fabric from now on. On the short edges of the runner is the selvage. The first thread on these edges need to be cut off because otherwise it will be impossible to fringe. at that mark. You will pull out a total of four threads, two the length and two the width of the piece. Threads pulled out showing where the "ditches" intersect. 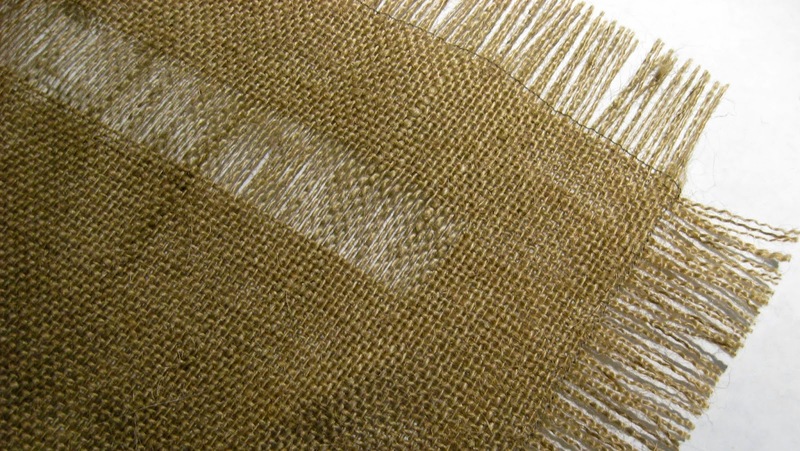 When the threads are pulled all four corners of the fabric should look like the photo above. Now you need to make sure the threads don't fray like crazy! 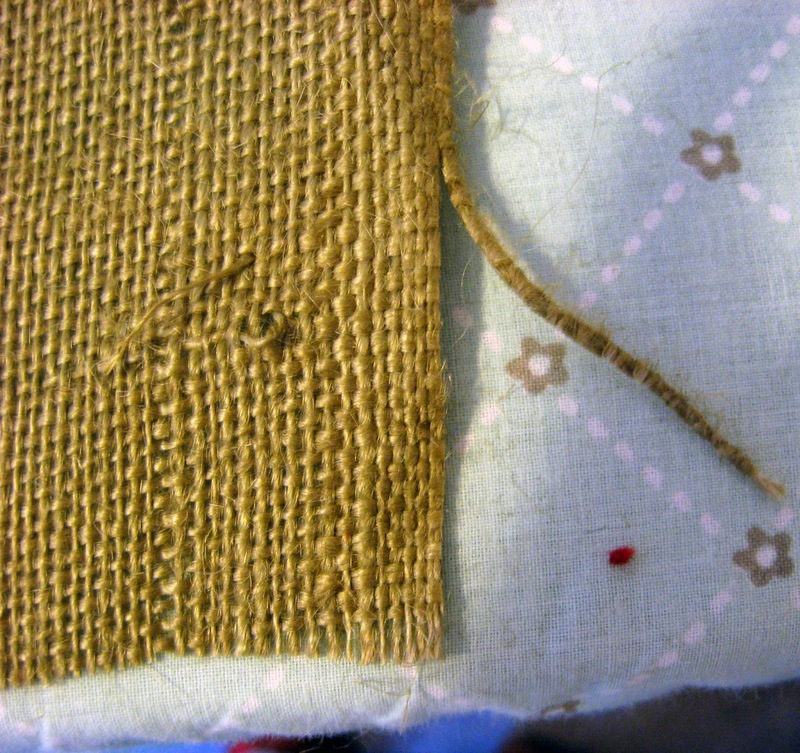 Using a sewing machine and matching thread sew along the ditch that has been made from the missing threads. ***Important*** when you get to the place where the ditches intersect STOP!!! Leave the sewing machine needle down, turn the fabric 90 degrees and continue sewing down the next ditch. If you accidentally sew all the way to the edge of the fabric it will be difficult to fray it. 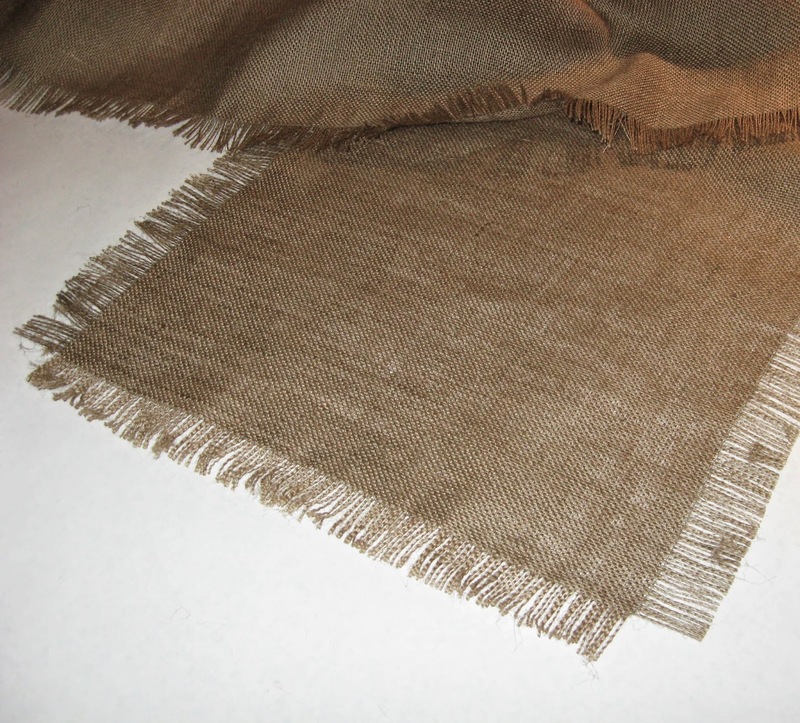 Now that the fabric has been secured with machine stitches it's time to make the fringe. Pull out the threads from the outside edges and stop at the sewing machine stitches. It should look like this when you are done. 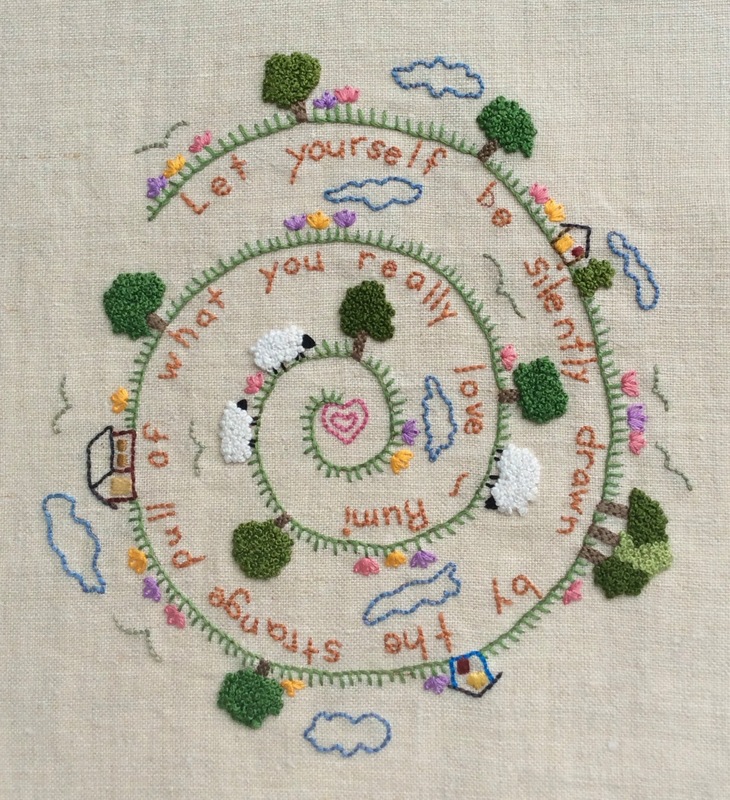 Next I made two rows of pulled embroidery, one on each side of the length. For each row measure in 1 1/2 inches from the corner of each edge and mark with pins. Pull out about an inch of threads from the inside corner of the pins. 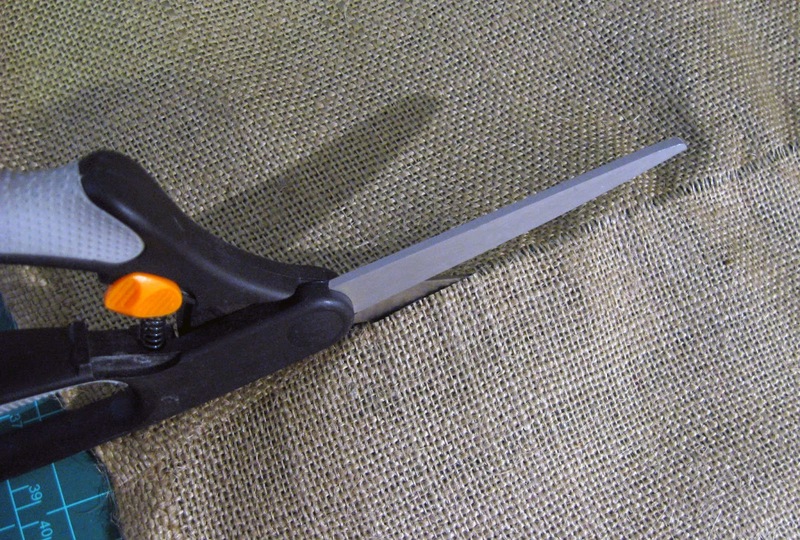 To do this, carefully cut the long threads along the short side of the runner until you have clipped about an inch. See photo below. Pull on one of the long threads in the middle of the group of cut threads and follow it the length of the runner. Clip this thread 1 1/2 inches from the other edge. Repeat this until an inch of threads have been removed the whole length of the runner. 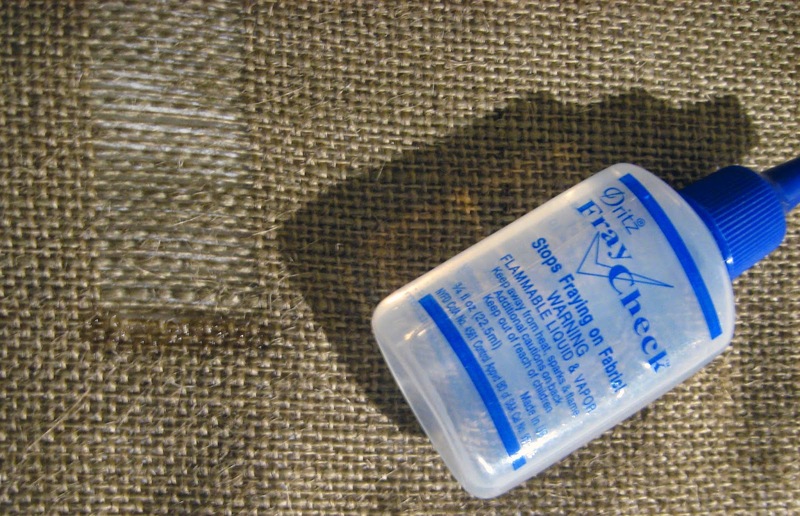 To prevent the threads that were clipped from coming loose, put a small bit of Fray Check along the edge. Test this on a scrap to make sure it doesn't discolor the fabric. After the Fray Check has dried it's time to embroider. Measure a length of Perle cotton 2 1/2 times the length of the pulled threads and thread it on a blunt end tapestry needle. This amount of thread can get a little tangled and out of hand so working on a cleared table space and pulling it very slowly can help keep it straight. Tie a knot in the end of the thread and come up from the back a few threads away from the clipped edge. My runner uses matching Perle cotton but I used a contrasting color in the stitching sample. Happy Holidays! Enjoy your runner! 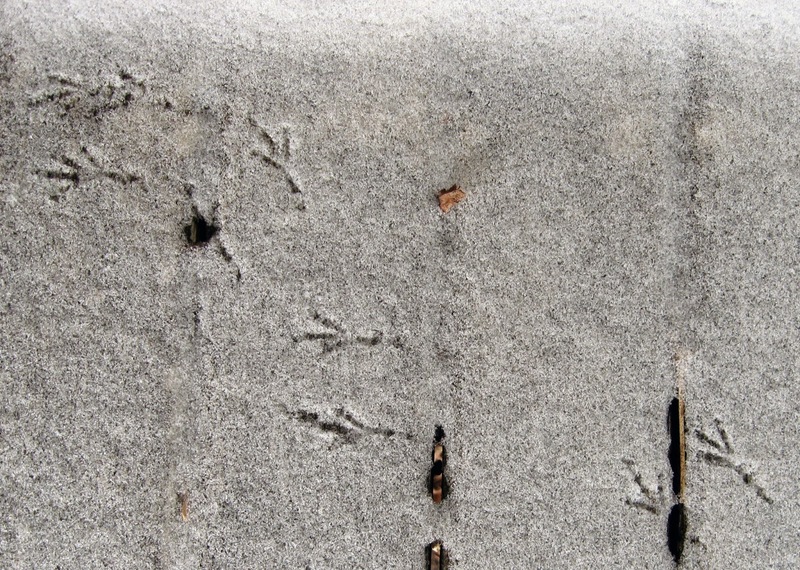 The other day we had a fresh dusting of snow and I came upon a record of a little bird dance. 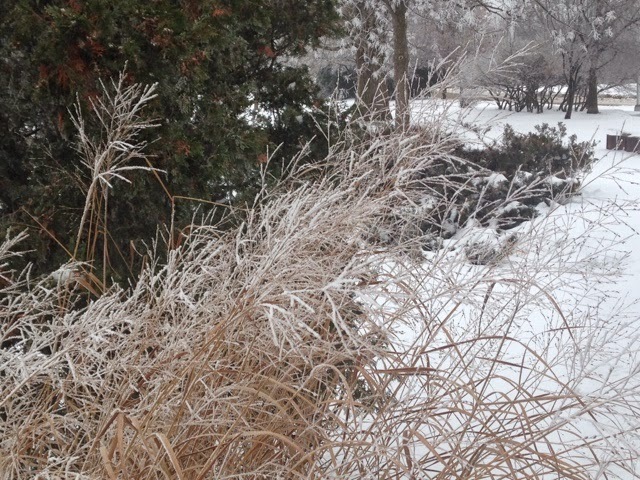 Winter. Here it is. I'm wondering what is inspiring you in this new season?